In our newly launched ‘Influenshine Favourites’ monthly series, we’ll be listing our favourite content from around Asia Pacific. We’re looking at recent videos, social media campaigns, product/service launches and more! If you’d like to contribute and help us decide the next Favourites theme, use #InfluenshineFaves to connect with us! This month, since Christmas is in the air, we’ve picked our top 10 Christmas Campaigns. 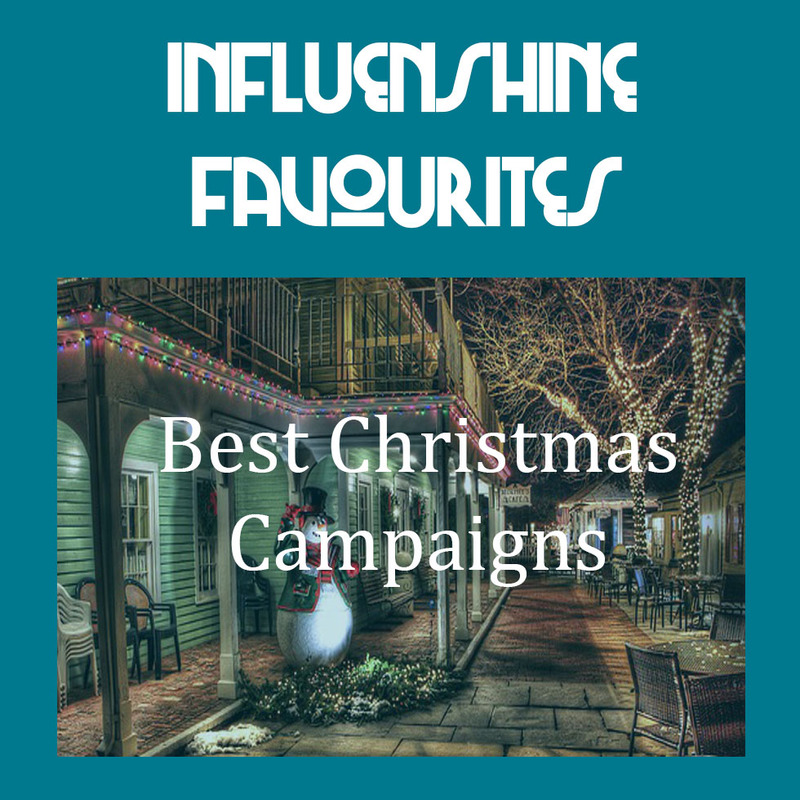 These Christmas campaigns happened within the last 2 years and are singled out for their immense popularity, uniqueness and effectiveness in communicating the gifting season. In 2015, Häagen-Dazs launched a campaign titled ‘Real Moments’ to showcase some real heartfelt moments shared during Christmas. The idea centered around the insight that real, quality time with a loved one is more meaningful than just buying expensive gifts for each other. This two-minute video led consumers to a microsite where one lucky couple from Singapore, Kuala Lumpur and Bangkok won a closed-service treat. Christmas is well known as the season of giving, and this videos tugged at heartstrings by asking “do you know what your partner really wants?”. As materialistic as the world is, we tend to go by not noticing emotional needs and wants – this video puts the focus back into what should matter most in a relationship – time spent with your significant other. Popular Korean Hallyu stars, Actor Lee Min Ho and Kpop Idol/Actress Im Yoon Ah, came together to film a promotional video for Innisfree’s inaugural launch of their Green Christmas Campaign back in 2014. Innisfree, Korea’s ultra popular eco-friendly budget-beauty brand is known for their skincare and makeup products. What better way to promote their eco-friendly side than a green campaign? The background music of the video is christmassy, complete with the angelic-soothing voices of Lee and Im – teaching you to DIY Christmas decorative ornaments. Besides the use of highly influential celebrities, Innisfree succeeded in further communicating their brand. In 2015, Woolworth – Australia’s retail giant, came up with a “Make Your Christmas Famous” campaign featuring six real Australian families enjoying Christmas at home and sharing the Christmas recipes that have made them famous with family and friends, from glazed ham and mango mousse to fish curry and barbecue prawns – because what else describes Christmas better than FOOD?! The video captured these families’ best moments, hosting their Christmas get togethers – placing emphasis on Woolworth grocery shopping and cooking their feasts. Woolworths broke ranks with other large retailers by launching the Christmas campaign on social media, led by Facebook and YouTube, rather than national television, which proved to be a very wise decision. In less than 24 hours the Facebook ads had clocked up more than one million views, reaching a wider audience than it would have been able to reach otherwise, at significantly less cost. 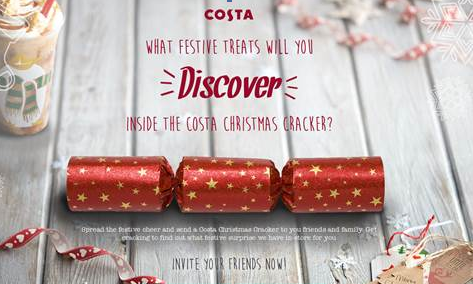 In 2015, Costa Coffee introduced its first-ever digital Christmas Cracker. The campaign went live in Singapore, Philippines, Cambodia, Thailand and India from 9 November 2015. In the spirit of Christmas, the cracker gives fans the chance to try their luck with a digital realisation of an iconic British tradition. Available on mobile and desktop, the website encourages everyone to share the Christmas joy by inviting family and friends to pull the Christmas Cracker to win festive treats including free festive drinks, scrumptious Christmas bites, Costa festive merchandise or at the very least, a corny Christmas joke! The chain also launched its iconic Christmas cups. The range features Santa Claus, a snowman and scarf-wearing penguin tagged #MerryCostaChristmas. Customers can also take home their own piece of Christmas cheer by purchasing one of Costa’s reusable Christmas ceramic cups. In 2015, Myer, the Australian department store chain launched their “Where Christmas Comes For Christmas” campaign. A 60 second stop-motion film featuring four animated Christmas characters (An elf, reindeer, angel and mouse) making their way through a winter wonderland to buy their Christmas gifts in the Myer “Giftorium”. The end result was something light-hearted, lightly-humorous, little beautiful and whimsical without being typically saccharine about it. It pushes Myer’s image as THE departmental store to be shopping for Christmas gifts. For their 2015 festive social campaign, Shangri-la created a magical animated advent calendar for both Instagram and WeChat that followed the journey of a Christmas Star travelling to earth, and being welcomed by a myriad of whimsical creatures and characters. Released over 25 days, each 15-second episode features the Star visiting a new global Shangri-La destination where it was met with warmth and kindness – bringing to life the kind of welcome guests can expect to feel when they visit the Shangri-La. In under a month, the campaign earned millions of impressions and increased Shangri-La’s Instagram following by 20% and its WeChat following by 40%. On December 25th, they revealed the full five-minute video following the entire journey of the Star around the world, and by the end of the year it had received over a million views. A glittery annual affair, Orchard Road has been the go-to precinct for Christmas shopping and exciting festivities with its 2.2 km boulevard, decked out in a full splendor of Christmassy lights and décor. In 2015, ION Orchard came up with a cause-related campaign to give back to the less privileged. 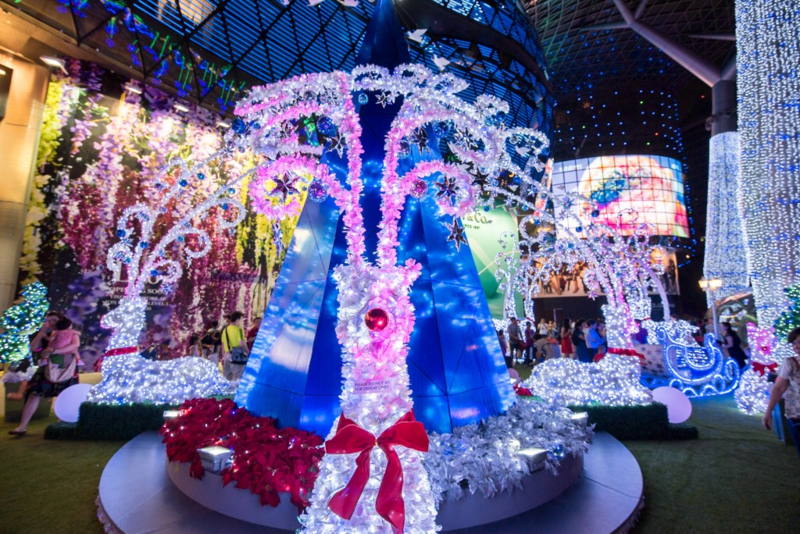 To celebrate the season of giving, 12 well-loved brands at ION Orchard collaborated with the mall to design an exquisite 2.4-metre-tall Christmas trees of kindness. Shoppers at the mall could also place their bids to adopt the trees of their choice with proceeds benefiting some 350 students with special needs from Rainbow Centre Yishun Park School. In a partnership with NETS, shoppers could also make direct donations at several donation points in ION Orchard. In 2014, Starbucks Hong Kong came up with holiday campaign to establish an innovative platform for customers to connect with friends and family. a holographic video projection to execute ‘A Twinkle Surprise’ by touching on the human aspect of Christmas. By sending loved ones and friends ‘A Twinkle Surprise’, both the sender and recipient would receive an email with an e-coupon attached to redeem a ‘Buy One Share One Treat’ and a complimentary Kaleidobox at any Starbucks Hong Kong and Macau stores. The Kaleidobox was a simple cardboard box designed with a mirror inside that reflects the video on a flat panel. Best viewed in a dark room, the Kaleidobox contains a holographic viewing kit that enabled recipients to check out their holiday surprise inside the Kaleidobox as a hologram. Coke’s holiday ad campaigns have long been synonymous with Christmas. In 2014, with #shareawhitechristmas Coke has given Singapore the best of both worlds; all the magic of snowfall, without the teeth-chattering minus 10 degrees that the Laplanders are used to. It’s not just about snow from Finland being brought to Singapore, but also about strangers from around the world engaging in the true spirit of giving. For Coca-Cola, sharing happiness became possible on Christmas through their thoughtful campaign.